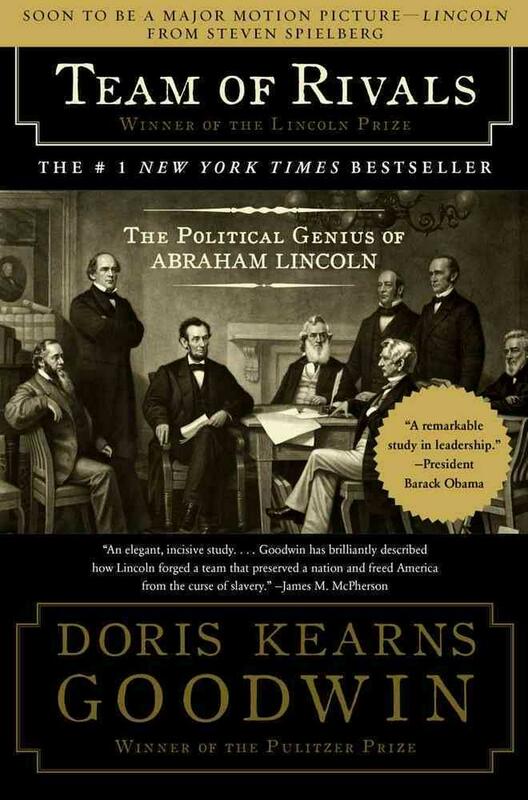 I learned a lot from reading Team of Rivals: The Political Genius of Abraham Lincoln by Doris Kearns Goodwin, but this is my favorite tidbit. 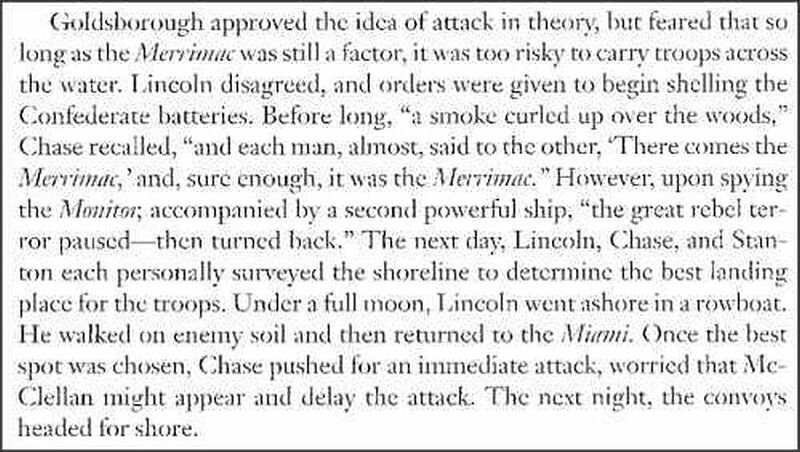 I did realize that Lincoln had visited his generals on occasion, but I was not aware how close that brought the President (and the Cabinet members who accompanied him) to the enemy’s front lines nor did I have a sense of the hands-on approach Lincoln sometimes took toward military matters. 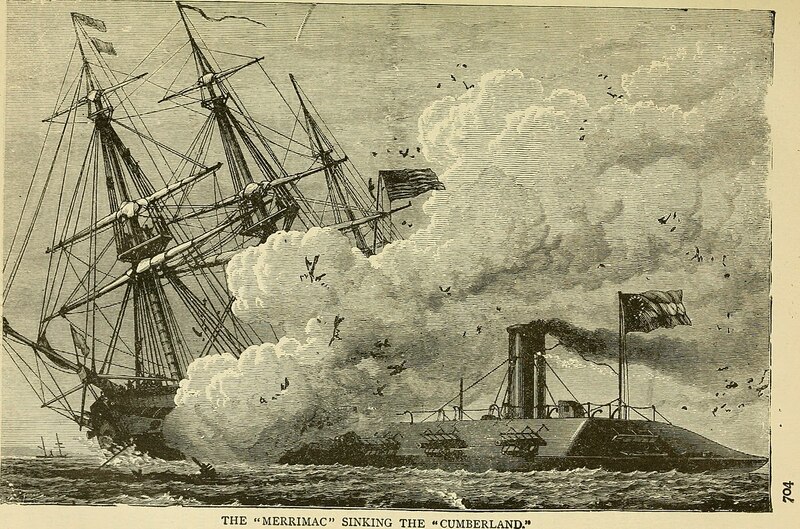 When reading these excerpts, keep in mind that the Merrimac, the Confederate iron-clad, had only recently appeared, with devastating results to the Union ships it encountered. 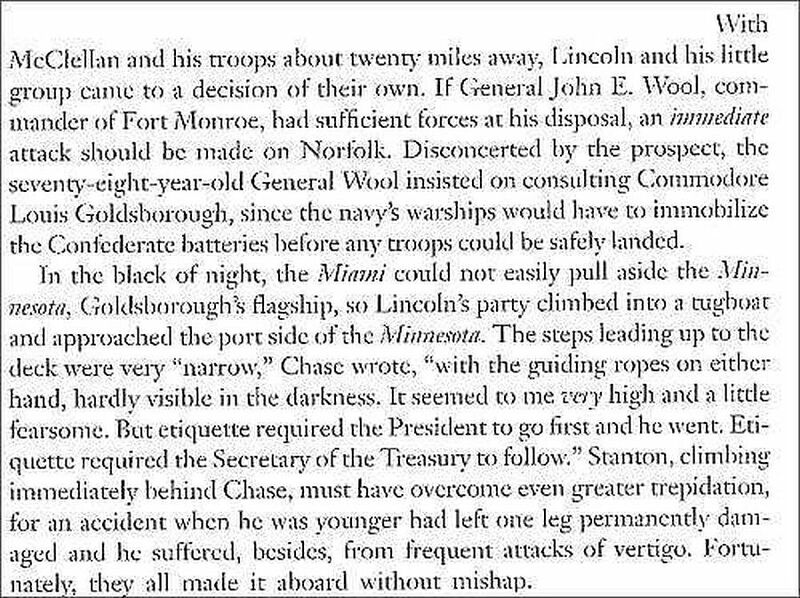 Yep, the night before a major beach assault that he had ordered, the President of the United States traveled via rowboat onto enemy-held territory to scout the best landing site for the troops.